Business was good at ACME. Even in these challenging times, the company's three assembly lines could not keep up with demand. John, the manager of the assembly lines, decided to request the funds for an additional assembly line. A member of his team, Patty, suggested he might want to consult "The Professor,*" before getting a new line. The Professor taught a course on line balancing that Patty took at the SMTAI conference last summer. Line balancing is an important part of optimizing productivity in electronics assembly. A balanced line ensures that the component placement process, usually the "constraint," is the fastest possible by assuring that each placement machine spends the same amount of time placing components. If any machine is waiting for the others, assembly time is being wasted. In a sense, line balancing is an application of Goldratt's Theory of Constraints. 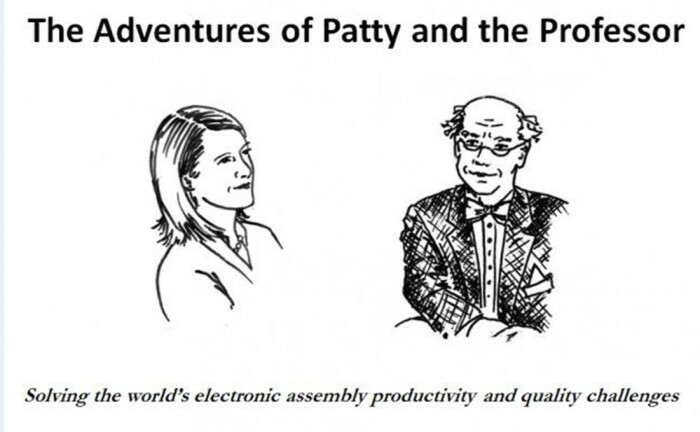 John remembered that when Patty applied what she learned from The Professor, throughput increased 25%. Unfortunately, Patty did not attend The Professor's other class on "Increasing Line Uptime." John decided to have a chat with Patty about The Professor. "Patty, why do you think I should consult with The Professor, about getting a new line?" "Well John, perhaps with some effort to improve our uptime, we wouldn't have to buy another line," said Patty. "Patty, that's a good point," said John. "What is the average line uptime?" The Professor asked the assemblage. There was some hemming and hawing, finally Pete, the senior process engineer replied, "I'd say at least 95%, we work our fannies off out there." There was a murmur of agreement from the 9 or 10 people in the room. Finally John spoke up, "Professor, what is your definition of uptime?" The Professor responded, "Simply the percent of time an assembly line is running." Pete again responded that 95% was the right number. The Professor asked for some production metrics and performed some calculations on his laptop. In a few moments he commented, "From the data you gave me, I estimate that your average line uptime is about 10%." Upon hearing this, Pete became red in the face, especially after Patty whispered in his ear, "I told you so." The noise in the room became so loud that John was concerned he might have a riot on his hands. The Professor asked to speak and John, in a booming voice, asked for calm. "Let's not become angry, perhaps my calculations are off. Why don't we measure the uptime for a few weeks to be certain." "How do we do that?" asked Pete, his face still crimson. "Each day one process engineer will go out to the lines every 30 minutes. If the line is running, he will put a 1 in an Excel® spreadsheet cell, if the line is not running a 0 will be entered," responded the professor." It was agreed that this will be done and The Professor will be back in two weeks. Will Pete's red face return to normal? Will the line uptime be 95%? Will Patty and Pete ever be on speaking terms again? Stay tuned on May 27 for the next episode.